2018’s proposed multifamily and rental housing legislation left the industry relatively unscathed by the end of the year. Despite a few challenges, things are looking up. As we see what 2019 has in store for new laws affecting rental properties, owners, and property management companies, make sure you are in compliance with these notable 2018 housing laws. Commonly referred to as the “Dodd-Frank Reform Bill”, this gigantic piece of legislation not only impacts regulations for banks but includes changes for public housing and the three credit bureaus. These changes consist of physical inspections of all small public housing projects every 3 years (on top of additional regulations if a project is deemed “troubled”) and free credit security freezes following the Equifax data hack. This bill revises the procedures Arizona property owners must adhere to when handling a tenant’s abandoned private property. Landlords will not be responsible for storing a tenant’s perishable items, plants and animals on behalf of the tenant. Personal property that is contaminated (poses a health and safety risk) may be disposed of at the property owner’s discretion. Additional changes may apply. This law eliminates “alterations” from the Maintenance, Repair, Replace, Alterations (MRRA) exemptions for the purposes of prime contracting. Signed by the Governor on March 23, 2018, HB 2385 revises the property tax values appeal process. If the court finds that the county assessor’s valuation is insufficient, the full cash value required will not be greater than the full value initially determined by the county assessor and appealed by the taxpayer. This applies to appeals filed in court dating back to January 1, 2017. Landlords will now have to wait longer before starting the eviction process. The eviction notice wait time excludes judicial holidays (including Saturday and Sunday). These provisions will become operative on September 1, 2019. Buildings with 3 or more multifamily dwelling units are required to have an inspection of exterior elevated elements and associated waterproofing elements (including decks and balconies) to reveal any conditions that pose an immediate hazard to the safety of the tenants. These inspections must be completed by January 1, 2025, with subsequent inspections required every 6 years (some exceptions available). A copy of the completed inspection report would be required to remain in the owner’s records for 2 inspection cycles. After July 1, 2019, property owners will be unable to install automatic garage doors (as a replacement for the property’s current garage doors) without a battery backup feature. This allows the garage doors to operate during electrical outages, which can be crucial during an emergency evacuation. Garage doors not installed in compliance with the law can face a civil penalty of $1,000. Inconsistent zoning standards (after July 1, 2022) that are within ½ a mile of any existing or planned Bay Area Rapid Transit (or BART) station will change to local zoning. This will allow more affordable residential housing units to be built closer to BART stations. The California Energy Commission has adopted new building standards that would require new homes to have solar photovoltaic systems. Effective January 1st, 2020, apartment buildings 3-stories or less and all single-family homes built after 2020 must include solar panels. Included in the new energy standards are new insulation and air filtration requirements. The sexual harassment training requirements have been extended to businesses – including those within the multifamily housing industry – with as few as 5 employees (including temporary and seasonal workers). Requirements include at least 2 hours of sexual harassment prevention training for supervisory employees and 1 hour to all workers. All affected employees must have this sexual harassment training by January 1, 2020. The Marin County Board of Supervisors approved of a “just cause” eviction program on December 18, 2018. These eviction controls will take effect on January 17, 2019 and will be in place for two years. This new ordinance applies to properties with three or more rental units and will prohibit landlords from evicting tenants if they cannot provide that a specified condition (such as failure to pay rent or nuisance behavior) was met. A tenant was in possession of the unit when the violation occurred. The owner had no knowledge of the offense. The owner’s lease agreement prohibits the illegal activity. Each city or county is now required to meet their minimum housing production goal (as is written in their general development plan) in order to be eligible to receive a portion of the Road Maintenance and Rehabilitation Program’s remaining funds. Tenants within rent-controlled properties are able to install an electric vehicle (EV) charging station so long as certain conditions are met, including the willingness to pay for all the expenses related to the installation and operation of the EV station. This protects the tenant’s and property owner’s right to call law enforcement or emergency assistance on behalf of a victim of abuse, crime or an individual emergency that the caller believes needs law enforcement or emergency assistance to prevent or deescalate. Landlords are prohibited from retaliating against victims or their households for contacting law enforcement or emergency assistance (in this context). Existing law relating to unlawful detainers allows victims of domestic violence, sexual assault, stalking, human trafficking, or elder/dependent adult abuse can attach a documented copy of a restraining, protection order, or report by a peace officer. This law now allows victims to use a qualified 3rd party statement as well. Some multifamily residential housing projects are now exempt from CEQA regulations. Certain conditions must be met in order to qualify for this exemption. A person, business, or other entity that increases the monthly rental price of an existing or prospective tenant by more than 10% during a declaration of emergency can now incur a misdemeanor. It is also a misdemeanor to evict a tenant after the proclamation of a state of an emergency for the purpose of renting the property out. A state-mandated local program will be established in the future to monitor and manage this new crime. Please note that these local and state-issued price gouging protections could be extended in the future. In zones where multifamily and mixed uses are permitted, supporting housing is now permitted. Supporting housing is low income housing that has no limit on the length of stay, and caters to those with disabilities, including mental illness, HIV or AIDS, substance abuse or other chronic health conditions. This creates the Orange County Housing Finance Trust for the purpose of funding housing for low income and homeless persons. Rental property owners who accept rental payments from a third-party provider can now require that that provider sign a document acknowledging that the transaction does not make that 3rd-party a tenant. Some examples of third-party providers can be social service agencies, nonprofits, family members or caretakers. HB 834 allows tenants to terminate a rental lease agreement in order to escape family violence. The tenant will be responsible for any unpaid rent, prorated to the effective date of the termination. This will apply to lease agreements entered into on or after July 1, 2018. This includes renewals, modifications, or extensions of the agreement on or after such date. Businesses in Illinois that use criminal background checks within their employment screening can now participate in the Rap Back Service, a service administered by the Department of State Police that keeps track of people’s criminal record if their fingerprints are submitted to the FBI. SB 240 places limitations on who may use and who can prescribe an emotional support animal. Verification must come from “health service providers” who are licensed within Indiana, including psychiatrists, physicians, psychologists, advanced practice nurses or those licensed by the Behavioral Health and Human Services Licensing Board. There are some additional requirements in place for residents who move from out of state as well. This was signed into law on March 21, 2018. Starting January 1, 2020, all buildings over 25,000 sq. ft. within the city of New York will be required to post their energy-efficiency scores (and associated grades) near their public entrances. SB 224 permits rental property owners to collect certain out-of-pocket expenses incurred in proceedings (like filing fees charged by the court or reasonable attorney’s fees) in summary ejectment or for money owed. Effective on June 9, 2018, employers with 6 or more employees within the city are prohibited from basing their hiring (or promotional) decision on an applicant’s criminal history, unless the employer can prove that the decision was based on available information. Employers may inquire into an applicant’s criminal history only after determining they are otherwise qualified for the position and have been interviewed. All Portland property owners are required to register their rental properties with city by April 2019 (when they file their annual business license tax). This new law requires that support animal verification “originate from a licensed health care professional who does not operate in this state solely to provide certification for service or assistance animals.” If a property owner discovers a tenant has made a false claim to a disability which requires the use of a service or assistance animal (or provides fake supporting documentation), SB 119 provides new procedures to enable the owner to evict the tenant. Signed into law on March 13, 2018, the state’s new Fair Chance Act prohibits employers from inquiring about a job applicant’s arrests or convictions before they have received a conditional offer of employment. This law went into effect on June 6, 2018 and has no impact on existing local laws with additional ‘ban the box’ protections (like the City of Seattle). Spokane, Washington has also enacted their own ‘ban the box’ ordinance. This law goes into effect on June 14, 2018 and affects all private employers. Rental housing bidding platforms allow rental applicants to bid on rental housing listings property owners put up online. Due to the City’s already competitive rental market, the City of Seattle has placed a ban on these online bidding platforms/applications to conduct a study on the impact these services would have on the rental market. Without a doubt, rent control marked the scariest trend in 2018. While we aren’t out of the woods yet, the rent control bills, ordinances, and propositions didn’t go as far as the industry feared. With notable bills like California’s AB 1506 and Proposition 10 failing, as well as the inactivity of Illinois’ HB 2430, Oregon’s’ HB 2004, and within Washington State, hopefully the worst is behind us. The emotional support animal debate got even more heated in 2018 as airlines across the nation began to enforce new restrictions and regulations, and this spread into the rental housing industry. Indiana passed SB 240, South Dakota passed SB 119, and Illinois considered their own service animal restrictions with HB 4912. Alongside rent control and emotional support animal regulations, 2018 was filled with bills targeting enforcing ‘just cause’ evictions, creating immigrant tenant protections, and addressing homeless housing. While it’s hard to say what new rental housing laws will trend next, you can expect rent control and ‘just cause’ evictions will follow us into 2019. 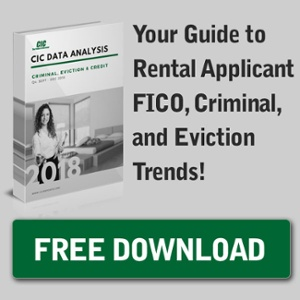 Keep up-to-date on Rental Housing Laws! Thank you for all of this update. Of course! And thank you for commenting.